This journal aims to re-define the position insects have in the food chain by putting human and animal entomophagy (i.e. the use of insects as food sources) into a global perspective. 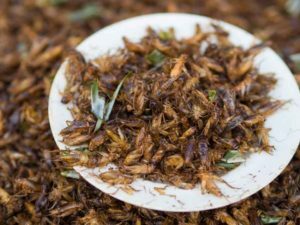 This is important as it is likely that insects will become part of mainstream diets in the future due to increasing populations and demands on food resources. These volumes set the table for edible insects and open new perspectives on how and why to integrate them into both human and animal nutrition. The articles uncover complexities in global environmental challenges, entomology, food science, and culture. Setting the table for a hotter, flatter, more crowded earth: insects on the menu? Another part of studies survey the complexity of consumer acceptance, attitudes, and marketing strategies for the promotion of edible insects in different cultural-geographical areas. They show evidence that despite their massive socio-economic advantages, a major impediment to large scale human insect consumption is the strong negative attitudes towards insects as food in many cultures. 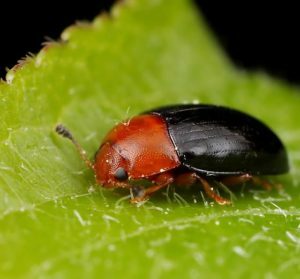 Their aim is to get a clearer picture on these social and psychological barriers to insects as food in Western cultures and outline strategies to increase their social acceptability. Entomologia Generalis is a quarterly, peer-reviewed international Journal of General and Applied Entomology. It is published since 1968 and covers experimental, comparative, and descriptive problems of all ﬁelds of research on insects and other terrestrial arthropods relating simultaneously to various branches of entomology. The researcher led collection Coleoptera is a significant contribution to the stronger representation of entomology on ScienceOpen. In contrast to the publisher led collections, such as the ones above which are typically restricted to the content of one journal, researcher led collections are independent from publishers and journals and therefore allow for a wider range of flexibility in terms of synthesis across journals, and even disciplines. Creating “virtual journals” from all available articles on ScienceOpen allows researchers to make decisions on where to focus their attention or to focus on specific research topics. As the name of the collection suggests, in this case, focus in on the most dominant order of insects, namely, Coleoptera. The collection offers as diverse perspectives for the study of beetles as they are themselves. Relevant articles are collected from more than 20 journals, regardless on their Open Access/ non-Open Access status or scope of interest. Having a look at the collection, you can also see how it interacts with Journal of Insects as Food and Feed and Feed. In addition, our interview with the editor of the collection, Professor Georg Beutel gives you an insight on his motivations for building the collection and also on how his research community benefit from it. Did you work up an appetite? In this case, don’t forget to share you feedback and feel free to rate, comment or even peer review articles from the collections.